The Affino Unified Digital Business Platform is also known as the Unified Media Business Platform. This is because it contains in one solution - all the key elements you need to run a modern Media Business. Affino combines Core-Connected CRM with Big Data, CMS, DAM, Events / Awards, Collaboration, Recruitment, Community, Subscriptions Management and Ecommerce. In addition to all the modern Media digital elements and solutions at your disposal, you also retain more traditional means in being able to oversee print product management with invaluable utilities such as Flat-planning to coordinate with editorial and ad sales. Everything is driven through the Core-Connected CRM which has Project and Task management utilities to action and keep tabs on your staff. 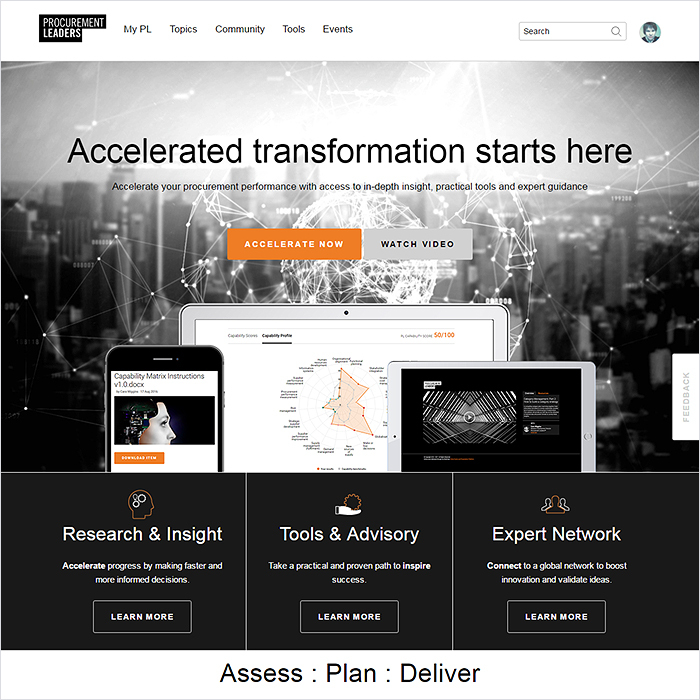 There are also specific Publishing and Media workflows, Lead generation / management workflows and the 50+ Conversion Events - which in turn can be daisy-chained together to track and monitor various processes and workflows. The scope you have in one single system is unprecedented, as is the way Affino consolidates back-office functions with its digital-front-end. For most media businesses out there, Affino can provide near enough everything you need - out-of-the-box and in one place. You can see from the very significant Constituent Parts list above that Affino is quite a different proposition to anything else that is out there. Providing a genuine end-to-end solution suitable for most publishing and media businesses. Our clients sell all manner of goods in all manner of ways - you can combine digital and physical goods free and paid-for - on an on-demand basis, longer-term subscription basis or full membership and VIP basis. All the key back-office systems are baked into the core solution which is run off a single database harnessed by a Core-Connected CRM. It's not just that it contains so many functional areas, it's how seamlessly they dovetail into each other - giving you ease of re-application, copying, multi-display and re-use throughout the system. It is up to you - the client as to how much of Affino you choose to use, some use near enough all of it, others use key parts - normally centred around the CRM and the Subscriptions elements. Affino typically replaces between 10 and 20 individual solutions within a comparable enterprise stack. With Affino you get all this functionality out-of-the box and working straight-away and you chose when to deploy the elements you need. What you don't need to do is factor in months of integration work to get your services up-and-running. Affino's significantly reduced running overheads mean that your staff are more empowered to work productively in evolving and improving your business offerings, rather than just simply maintaining the the various integrations, de-duping databases and similar work that usually goes hand-in-hand with enterprise stack deployments. There are numerous front-line media ambassadors for Affino. 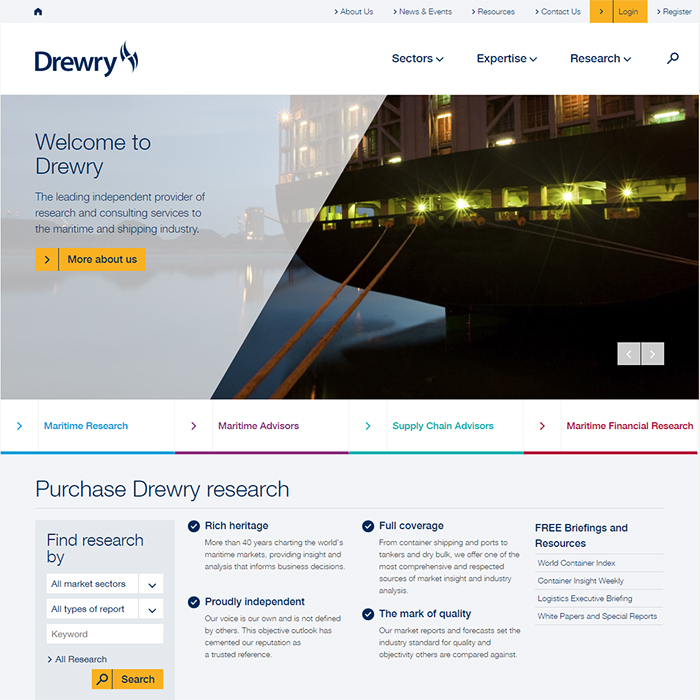 One of the most recent - Drewry lead the way forward in global subscription sales. 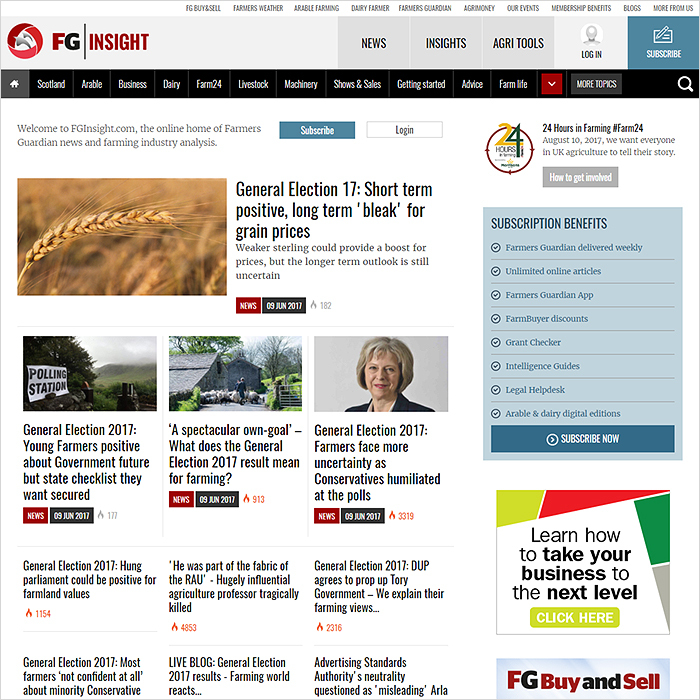 FG Insight is the epitome of a refreshed and revitalised traditional media business - now fully mobile-optimised and leading-edge digital operator in its sector as well as a still highly revered traditional print publication.